A brief recap on what I have been discussing for the past 2 weeks: healthy boundaries which are the imaginary lines we draw around ourselves to maintain balance and protect our bodies, minds, emotions, and time from the behaviour or demands of others. They provide the framework to keep us from being used or manipulated by others, and they allow us to confidently express who we are and what we want in life. Begin with changing your perception that having personal boundaries is OK. It doesn’t mean you are selfish or unloving. It is both completely acceptable and absolutely necessary for healthy relationships. Understand that self-worth comes from defining your life as you want it to be, not from the acceptance or identity of others. Sit down and reflect on how you have been allowing others to take advantage of you and how you might be accepting situations that are really unacceptable to you. 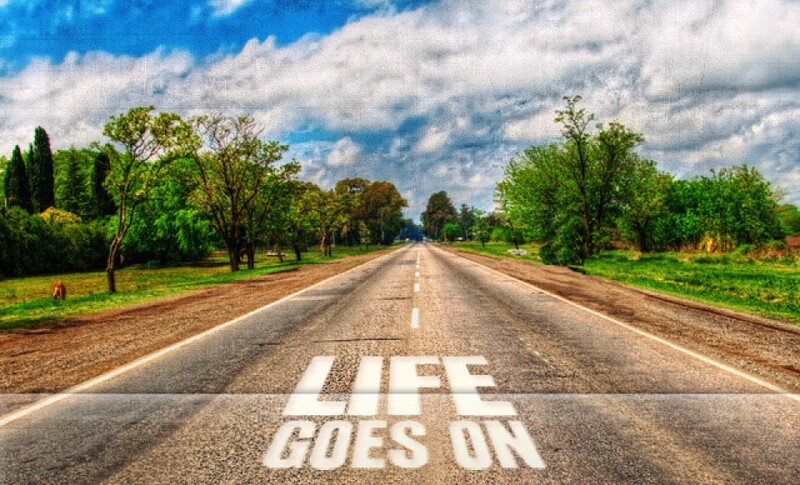 Make a list of things that people may no longer do to you, say to you, or do around you. Decide how you need physical and emotional space. Define your values, belief system, and outlook on life so you have a clear picture of who you are and how you want to live. Get very clear on that. Two key feelings in yourself that are red flags or cues that you are letting go of your boundaries are: discomfort and resentment. Rather than avoid it altogether like not picking your calls or avoiding the person, it’s all about learning the right way to say no. (C) Another gentle way of breaking “NO” to a person is by replying “I’d love to do this, but …” It’s encouraging as it lets the person know you like the idea (of course, only say this if you do like it) and there’s nothing wrong about it. (d) If you are interested but you don’t want to say ‘yes’ just yet, you can reply by saying “Let me think about it first and I’ll get back to you.” This is more like a “Maybe” than a straight out “No”. (e) If someone is pitching a deal/opportunity which isn’t what you are looking for, let him/her know straight-out that it doesn’t meet your needs you can reply by saying “This doesn’t meet my needs now but I’ll be sure to keep you in mind.” Otherwise, the discussion can drag on longer than it should. (f) The simplest and most direct way to say no is saying “No, I can’t.” We build up too many barriers in our mind to saying no. these barriers are self-created and they are not true at all. Don’t think so much about saying no and just say it outright politely. You’ll be surprised when the reception isn’t half as bad as what you imagined it to be. Of course, we know that it’s not enough to create boundaries; we actually have to follow through. Even though we know intellectually that people aren’t mind readers, we still expect others to know what hurts us, since they don’t, it’s important to assertively communicate with the other person when they’ve crossed a boundary. In a respectful way, let the other person know what in particular is bothersome to you and that you can work together to address it. Believe in yourself and your value as a unique individual who is worthy of love and respect. Trust your instincts and feelings about what you do and don’t want in your life. No one knows better than you who you are and what you desire. Don’t allow others to define that for you. Practice self-confidence and self-love until it feels natural. Setting and requiring boundaries is a great way to practice this. What does it mean to set healthy boundaries? Think of boundaries as rules and principles you live by when you say what you will or won’t do or allow in your life. Life can’t exist without boundaries, even with your nearest and dearest like your kids, partners, parents and so on….. Healthy boundaries are meant to help us find safety. It outlines where our mental, emotional, physical space ends, and where another person’s may begin. When we have healthy boundaries, we take responsibility for our needs, thoughts, and feelings, and we allow others to have their own needs, thoughts, and feelings, without taking responsibility or needing to somehow change them. When we honour our boundaries, we set limits, and take adult responsibility for our experiences. Why should you care about healthy boundaries? Setting boundaries is essential if we want to be both physically and emotionally healthy. Strong boundaries help maintain balance, self-respect and allow us to be interdependent in intimate relationships and life in general. A lack of boundaries is like leaving the door to your home wide open, anyone, including welcome and un-welcome guests can walk in without hesitation. Having rigid boundaries leads to loneliness and isolation and is akin to living in a fortress with no opening in sight. 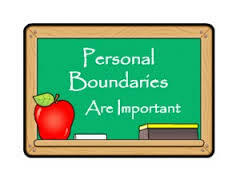 Physical boundaries can include your body, your home, your work space, your purse or wallet etc. These are the literal lines we draw when it comes to our physical interaction with others. This could be about physically touching someone (a hug, hand shake, physical proximity when talking, etc.). But also about the rules we have when spending time with someone (where, how long, and what to do or not do). It could be us determining if and how we will share our physical body and presence with others. Can we allow others to have their chosen spiritual life (or lack thereof), without feeling the need to change them, convince them of their wrongness, be aggressive, force, manipulate or judge them to see things differently? When spiritual boundaries are weak or non existence it is so easy to engage with people or a person and get into an argument that you cannot win, or even be persuaded or manipulated into their belief system that may not be best for you. To have good spiritual boundaries you won’t need to be manipulated into a belief. You will learn more about it and decide whether this is something important to you. Protecting your spiritual beliefs can be simply deciding who you talk to about your beliefs and spiritual practices how you allow others to interact with you regarding your/their beliefs. The spiritual boundaries we set for ourselves begins with our core values. These core values create who we are and what we do on a daily basis. Our true identity is built by what we decide we are going to believe over a lifetime. These central beliefs shape our choices in jobs, fun and even our mate. These areas of boundaries protect our feelings. Our emotional boundaries include how we allow others to treat us, whether our emotions are respected & honoured, and how we treat others in return. This area of boundaries is also about protecting how others talk to us individually (name calling/put downs). Healthy emotional boundaries serve two very good purposes. They keep us from imposing our emotions on other people, dumping endlessly on anyone who will listen to us (and then regretting it later). Emotional boundaries help us handle our feelings in appropriate ways. Emotional boundaries also keep us from taking on the emotions of others who are spewing their emotional garbage… It also what protect us from being manipulated by others through guilt and shame and fear. They help us not take on responsibility for someone else’s emotions. This defines our thoughts and opinions allowing us to choose what we think about and to stop ourselves from thinking about other things. Additionally, as we form opinions, we have freedom in how we analyse a situation, what information we integrate into this assessment, and what our resulting opinion will be. Regardless of whether or not someone agrees with our opinion, it is ours to have and creates a distinction between us and someone else in our lives. Maintaining your own opinion or value about something is one of the components that make you a unique and distinct person. These boundaries also enable us to reject thoughts and opinions being forced on us that are contrary to our belief system. Sexual boundaries include boundaries about your sexuality, body, who touches you intimately (or how they touch you), comments that are sexual in nature, what your level of comfortability is with sexual behaviours, and how comfortable you feel touching others. Sometimes we tend to think of sexual boundary violations as simply being coerced into sexual behaviours against our will. While this is one aspect of a sexual boundary being violated, other examples include: someone making sexual innuendos or comments that feel inappropriate, uncomfortable, or disrespectful; sexual glances or having someone look at you in a sexual way that feels uncomfortable; being sexualized or objectified in the workplace or by a friend or stranger; having a working relationship with a professional (doctor, therapist, or health care professional) who uses the intimate nature of the professional relationship to lure a client into a sexual relationship, having a sexual partner coerce you into sexual acts that you feel uncomfortable with; or receiving sexual emails, text messages or phone calls that are inappropriate and suggestive sexually. These are only a few of the many ways our boundaries can be violated sexually.